Sorry, but some options are not available anymore. They were specific to Safari 4 beta. R.I.P. We'll miss you, dear options. This menu is only available for Mac OS X. Download. Go to your Applications folder, Control-click (or right-click) Safari app and click "Show package content". Go to "Contents/Resources" folder. Copy "MainMenu.nib" folder from this archive to the Resources folder. This will modify Safari menu to show new options pictured above. Start Safari. Voila! You should see new"Safari > Tweaks" menu now. Note: the whole Safari menu will be in English! 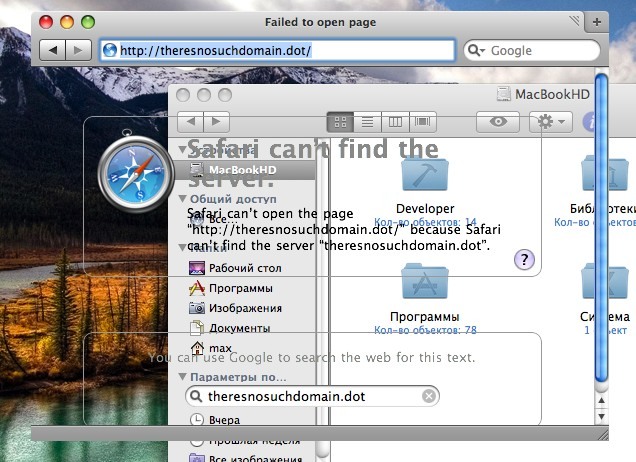 To uninstall delete "MainMenu.nib" folder from Safari's "Resources" folder. Use advanced tools. Tap and Shake to save the penguins! They count on you.